SAN FRANCISCO, CALIFORNIA, UNITED STATES, November 3, 2018 /EINPresswire.com/ -- Anyone who has eczema knows how cold and hot weather can make it debilitating to live with. After more than four decades of managing side effects from prescribed medication for the ailment, a Pittsburg, California woman has created a line of all-natural, lotions, moisturizers, and scrubs specifically designed to treat eczema, her publicist announced today. Eczema is a skin condition that affects approximately 31% of Americans. At the time of this writing, the National Eczema Association reports there is no cure, but breakouts can be controlled. Individuals with eczema typically experience patches of dry, itchy skin that often cracks, bleeds, or becomes infected. "Anyone who suffers from eczema knows how painful it can be. Cold and hot weather wreak havoc on dry skin," explained Leasa Hart, owner of Soul Scents by Leasa. "I have four different types of eczema. Millions of others who have eczema suffer in silence, or are using a treatment that does not serve them. I am changing that." After an unwavering devotion to extensive research on natural remedies, and support from her husband, David, Leasa Hart developed a healing balm using 17, natural ingredients. She says the balm melts on the skin like butter and calms itching and open-skin, irritations. The entrepreneur says she began formulating blends using all-natural ingredients such as raw, unrefined shea butter, coconut oil, and other essential oils. She added that she enjoyed what she created so much, she decided to share with family and friends who experienced gratifying results. 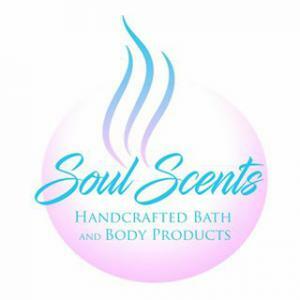 Shortly thereafter, her company, Soul Scents by Leasa, was born. Leasa Hart stated that "It’s exciting when people contact me and tell me they were looking for a natural solution for their eczema, and then hearing and seeing how my products soothed their skin, later. I always tell people if they feel like they have an infection or condition that needs medical attention to consult a doctor." Hart formulates compounds for eczema relief, beards, razor bumps, and bath and beauty. Customers with and without eczema are thrilled by the results. They share that after using her homeopathic, rich and thick, body and bath creams, balms, butters, and scrubs, their skin becomes smooth and moisturized. "Leasa Hart masterfully creates unique, natural, formulas specifically developed to delight, and not to irritate," stated Fran Briggs, Publicist to Leasa Hart. "Among her most creative concoctions for the skin is the smooth and creamy, Creamsicle Body Butter. It's made with shea butter, cocoa butter, mango butter, and natural oils. The best part is, it has the same scent of the frozen, summer treat most know as the creamsicle." Soul Scents' product line includes eczema healing balms, whipped and creamy body butters, and sugar scrubs. The company's prices range is $6.00 - $24.00. Products are available scented, and unscented.